I’ve just uncovered what the silent treatment has done to our conversations about mental health: we don’t even know what words to use. The language for talking about mental health is a thing of great sensitivity and controversy. After decades of living with family members who have bipolar, I’ve come to think of mental illness, especially bipolar, as a brain disease. 3) make mental illness sound like it’s contagious. Is mental illness a brain disorder or a brain disease? Or is it an illness? Why can’t we all agree what to call it? This is curious to me and I wonder about all of the dynamics at play. The fact that we don’t know what words to use in our conversations is a symptom of our decades of silence. Now that we are breaking the silence about mental illness, what are we to say and how are we to say it? So much of our language is contextual, based on our personal experiences. Among family and friends we often throw around the word “crazy.” This word can be experienced as offensive, inappropriate and dehumanizing. But when my family and friends are talking about ourselves, we use this word crazy. 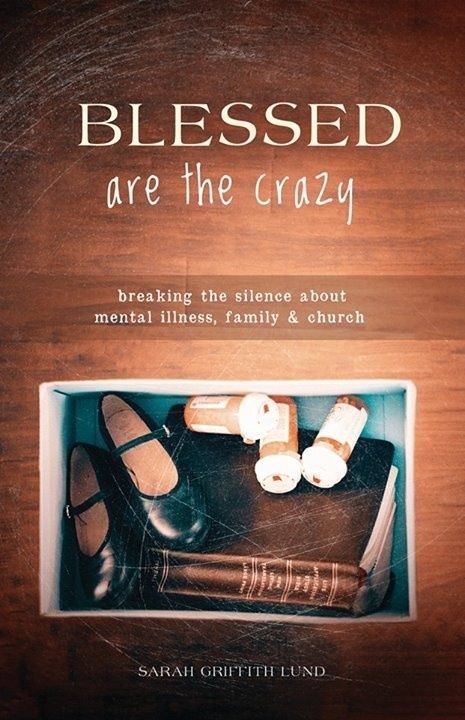 Is it possible for people impacted by mental illness to reclaim the word “crazy” for ourselves, just as other movements have reclaimed derogatory words as a means of empowerment? I’m thinking about words that once were used to slander such as “gay,” “queer” or even “Christian.” All of these words originated by outsiders trying to bully and belittle. I’m not a psychiatrist or a psychologist. I am no neurologist or biologist. I am just a person who knows what it’s like to sense that crazy is in the blood. Because it runs in the family and it’s real no matter what you call it. Thanks for sharing and raising mental illness awareness and breaking the stigma. Thank you so much. Language is a tricky thing. What language are you most comfortable using? When you say language are meaning the word “stigma”? I read an article the other day connecting bipolar and schizophrenia to an abnormal brain cell growth…similar to brain cancer. It was a pretty interesting article. But see…making fun of someone with cancer is UNACCEPTABLE…but mental illness? They are just crazy.I too, try to seek justice for people like me…those who just so happen to have chemical imbalances, or weird brain cell growth or whatever. Who cares what causes it…it is real. Great post. I’d like to read that article. It’s amazing how much we don’t know about the causes of mental illness. Hi Sarah, I just read your blog post and the last two sentences jumped out at me – “I am just a person who knows what it’s like to sense that crazy is in the blood. Because it runs in the family and it’s real no matter what you call it.” I have MDD and GAD, and I believe my mom and her mother also did, melancholia I think they called it in the old days. I have two sons and the younger one especially exhibits the same symptoms. I don’t know what we should call it, I’m just glad we are talking about it. Thank you for your comment. There’s so many stories (like yours and mine) of generations within the same bloodline experiencing mental illness. Yet there is also a debate among some who claim it can be “unlearned” within family systems. I can see the merit in that. Here I am, 56 years old, and I’m just learning to draw from the strength of my soul to deal with the anxiety and melancholy. And I despair that much of what my son exhibits was environmental, if I had only done things differently… Oh well, I thank God for the strength and love that has gotten me this far. I hope I “have many miles to go, before I rest.” Thank you Sarah, God bless you! You are not alone. We all can learn along the way. I just learned yesterday about WRAP (Wellness Recovery Action Pan) developed by a PhD named Copeland…she’s the one who says that much of our behavior can be unlearned. Everyone has a little “crazy” in them ! That’s what I say. I also like to say “What exactly is “normal?” Normal can pretty crazy, and crazy can be pretty normal ! We are all in this together, and when we start breaking down barriers, start speaking out and begin to reveal your own bits of crazy, you enable others to do the same. It’s a beautiful thing! Great post Sarah! Great point! What is normal?